As the leading local home design-build and home renovation company in Cleveland, Ohio, we combine proven experience with progressive thinking to deliver the highest quality, most professional, and dedicated services in the Cleveland market today. Our only concern is your best interests; we want to help you achieve your goals and dreams for your home. Our mission is to develop a life-long relationship with you and to deliver a product that will last a lifetime. It is an honor to be invited into your home for a renovation project and we take that honor very seriously. We communicate clear timelines throughout the project, are always open to your feedback, and keep your home as clean as possible during our work. Our team is involved every step of the way, from conception to completion, always keeping your budget and vision in focus. The Smartland team has over 70 years of experience in the Cleveland design-build and custom home remodeling industry, helping clients like you achieve enduring results. Tim Mott manages Smartland’s residential contractors website, operates social media outlets and develops marketing campaigns using Google Adwords and Hubspot. He works with partners to develop blogs that are featured on the company website. Tim also visits the renovation locations to take pictures and videos that he uses in digital and print advertising. With a bachelor’s degree from John Carroll University and internship experience with ESPN Cleveland, Tim specializes in digital and social content creation. Gabriel Rivera visits client homes for field measures and prepares isometric drawings in accordance with customer specifications. He applies those measurements using computer-aided drafting (CAD) equipment to create preliminary 3D renderings. Gabriel then creates a set of plans for construction drawings that are used by the construction team. 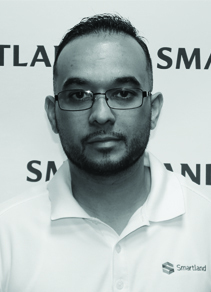 In addition to his time at Smartland, Gabriel has experience in technical engineering and illustrating and possesses associate’s degrees in Civil Engineering and Land Surveying from the University of Puerto Rico-Ponce. Anthony Peto meets with new clients to provide building options for their renovation project. After meeting with the client, Anthony quotes a price and walks them through the construction/renovation process for their home. He also compiles a group of talented craftsmen to competitively and efficiently perform tasks given from the construction estimating team. Anthony has been in the construction industry since 2000 when he entered as a carpenter. He has completed the Ohio Carpenters’ Joint Apprenticeship & Training Program and received an associate’s degree in Labor Studies from Harvard University. Anthony also has experience working as a State Political Director for Organized Labor and working for custom design-build construction companies. David Nulick provides comprehensive estimates for clients who are seeking property renovations. He then has the unique opportunity to present these reports and communicate directly with potential clients to formulate realistic solutions to existing property issues of all scopes and sizes. His weekly visits to the construction sites ensure the projects are meeting contract requirements. David also initiates our development projects, including facilitating pre-construction services for development partners. 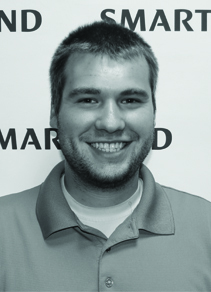 As Marketing Director, Matthew Fritz is responsible for overseeing all marketing efforts within Smartland. 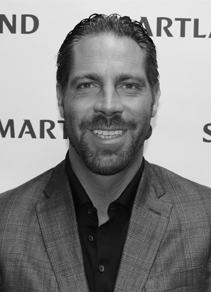 Matt collaborates with all members of the Smartland team to convey the company’s mission through various media outlets. He uses competitive analysis to integrate effective marketing concepts, oversees marketing campaigns within the local community once areas of growth potential are identified, and develops content and graphics to be used in mailers and brochures for clients. 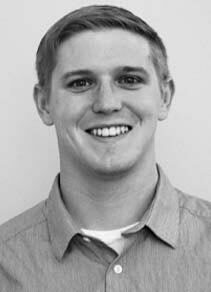 Matt earned his Bachelor’s degree with a double minor in Marketing and Coaching from Notre Dame College in Ohio. Matt Kovacevic works with potential and existing clients who are requesting residential property renovations and reviews the space they wish to remodel. He then meets with the client to create a scope of work and present an estimate. After confirming the project, Matt works with the in-house design team to develop the remodel plans and assists the project manager with the construction process. He will then visit the construction sites regularly to ensure the projects will be completed on time and within the client’s budget requirements. 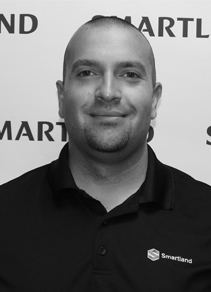 Matt has been with Smartland for two years and has previous experience in general construction. 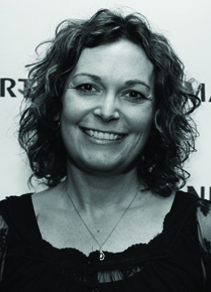 Viki Wade works with all Smartland departments to ensure efficiency in every transaction. Viki performs daily accounting tasks such as managing expense reports and reimbursements, monitoring daily cash flows, and maintaining Smartland’s financial databases. She also works alongside the CEO and Executive Vice President to make sure payment amounts and records are accurate and that all financial statements are reconciled. Prior to her current role with Smartland, Viki worked for family-owned businesses in the accounting department. Viki possesses over 15 years experience in general accounting. Darin Smith is responsible for supervising the Design Department and all its functions. 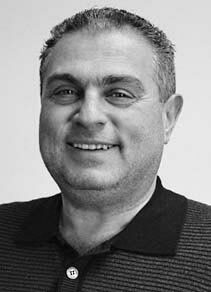 He oversees project site documentation, design creation and development, virtual realistic 3D renderings and presentations, production of construction documents, continued design support for projects during construction, and training of computer-aided drafting (CAD) technicians. Darin has also spent time as a Construction Estimator at Smartland giving him a greater awareness of the processes associated with that part of the industry. Darin has over 30 years experience in residential and commercial design and over 20 years of project oversight in the field. Eric Gesis oversees all renovation projects and the entire production process and is responsible for the scheduling, logistics, subcontracting, and staffing needs associated with these projects. In order to accurately estimate costs and set quality standards, Eric is involved in all phases of production from conception to completion. He is also accountable for the creative design aspects of kitchen and bathroom layouts, including visionary architecture, color schemes, and concepts. 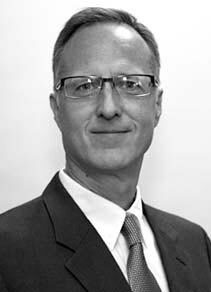 Previously, Eric served as the President of Americomp, where he gained valuable leadership experience managing the firm’s daily operations. Eric earned an engineering degree from Odessa College in Ukraine. 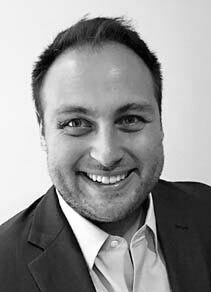 Steven Gesis is responsible for the strategic direction and performance of all sales teams within Smartland. He also oversees Customer Account Management. Throughout a career spanning over 15 years, Steven has successfully orchestrated strategies and helped to build the talent of his team members. 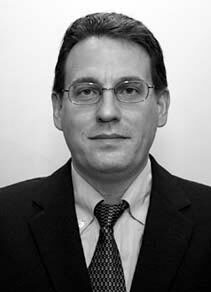 Prior to joining Smartland, Steven was an Operations Administrator at Cleveland Clinic, where he was instrumental in the implementation of new strategies and efficiencies, and the Vice President of Sales at ACI, Inc., where he helped guide the organization through rapid growth and the eventual sale of the company. As an entrepreneur, Steven was a founding partner and President of Case Media Group, a regional media company that provided consultation to businesses in Northeast Ohio. Steven holds an MBA from Cleveland State University’s Monte Ahuja School of Business as well as a Bachelor of Science degree from The Ohio State University.